It was an honour and terrific opportunity to be asked to highlight our ongoing research and the thoughtful work that our network of districts and communities are doing in the premier issue of InspirED, the journal of the British Columbia School Superintendents Association. There is a sense of pride and collectivity to take and give when we are asked to describe our work, core principles and intent. A confirmation and a prelude to celebrations for another year of observing and learning from our wonder children and each other. Here is a peek at what some of our CR4YC communities are beginning to observe in their wonder children and looking to investigate via their inquiry questions and the facets. These are initial, tentative questions. Educators will refine, revise and even replace them as they learn and think more about social and emotional well-being and their wonder children. Although for this post, we’ve placed each question in a particular facet, we know that they overlap and that one question often reflects as many as three different facets. 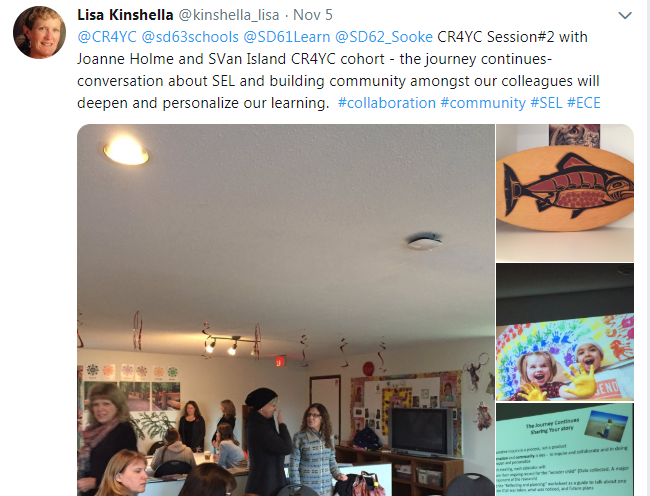 Wondering and exploring by some 36 Communities and their educators is inspiring, sharing our work connects us all. What happens to M’s social and emotional well-being when I honour him by his name in our circle time routine? By helping the children to understand and use the word “proud”, will it increase the children’s ability to self identify and/or self reflect? How does knowing oneself help child connect to his community? How do I help A make positive independent decisions without following others behaviours? How can I foster friendship building skills within the classroom that will lead to healthy communication skills and a sense of belonging for my Wonder Child and class? What difference will I notice in the level of engagement and involvement with both parents and their children if my program is empowering engaging and fun? How do I enhance caring for others in my classroom community? How do I build more connection with A and help foster deeper connections with her peers? What will happen to AW’s SEL if we work on building relationships with older buddies and with peers in our classroom? 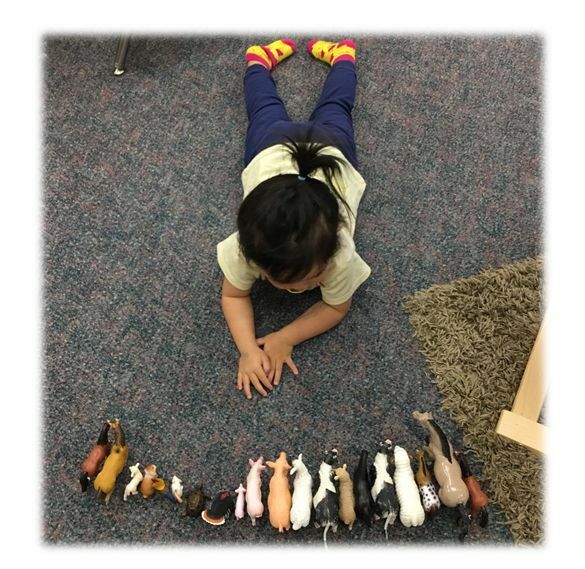 What happens to K’s SEL well- being when I provide activities that promote kindness, friendship and relationship building skills with the whole class? How can I support I in developing and expanding strategies to establish more effective relationships and attachments with other adults and children? How does supporting emotional interconnections (parent/child/staff) affect self-regulation among children? What happens when I stop controlling a student’s behavior to self-regulate and give him ownership to explore his own self-regulation strategies? What happens if I focus on creative expression time every day for self-regulation and body awareness? What happens if I build rest/relaxation/reflection time every day for sustaining appropriate energy levels for the day? What happens to BH’s behaviours when we focus our attention on positive behaviours and actively praise them? How would focusing on him as a role model help him to regulate in the classroom? How does N display “joy”? I notice that she seems content, however she does not show outward excitement. Does she show Joy when she is in a more secure environment? Does she always look serious? What happens to R’s social-emotional well-being when I teach basic sign language to him to help him communicate? What happens when I explicitly teach how to play and provide time for students to practice? What might happen to A’s sense of joy and happiness if she participated instead of led during play? If we see that adapting materials and equipment can bring confidence and joy to a particular child in our care, then how can we ensure that all of the children in our care are receiving those same opportunities to feel confident and joy. What would happen if I had dance gatherings, to focus on my wonder child’s love of dance, and engage children in small groups to open up about self-regulation, empathy and caring? What happens when I focus on friendship communication to build a strong understanding of empathy? What happens for K’s SEWB when I model and directly teach empathetic skills, kindness and emotional recognition to the whole class? How do I help C identify when he is doing kind things and practice kindness? I wonder how does he sees friendships? Does he need my help for self- advocacy? How can I reinforce K’s strong moral compass under the negative influence of peers? What will happen to my wonder child when I provide opportunities for J.G. to connect with other children who are not in his comfort bubble? Groups introduced themselves and told the story of their names with a story rock. …and ended the day by wet felting their own. How we learn is how we are feeling. The research states this unequivocally. 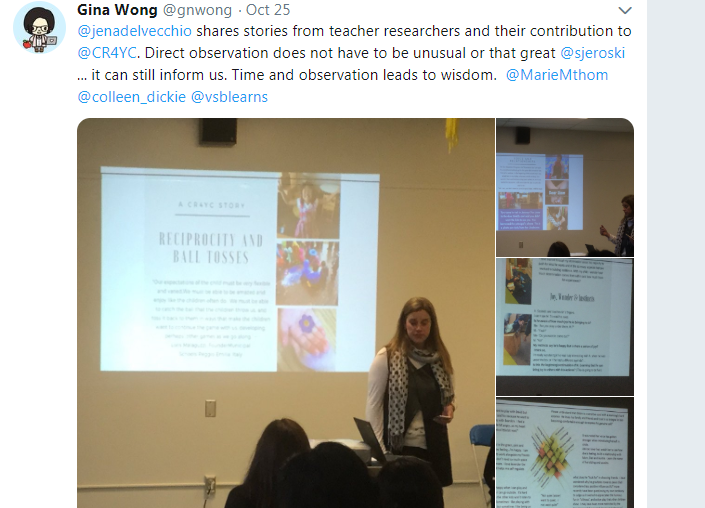 On October 4th, 2018 we gathered for the Changing Results for Young Children Network Session. This was an inspirational, fun-filled and busy day spent together. We were joined by District facilitators, Leads, Ministry staff, BCTF representatives, Early Learning partners. The day was joyfully hosted by Maria LeRose. 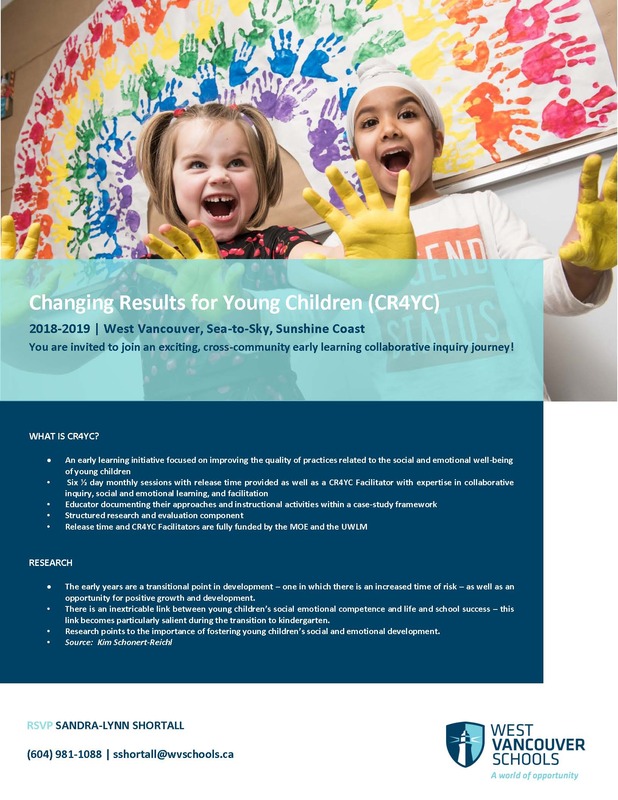 Kim Schonert-Reichl, Director of Human Early Partnership HELP UBC and Professor, UBC Faculty of Education presented: Promoting Young Children’s Social & Emotional Development and Well-Being. We finished up the morning with an enlightening panel discussion moderated by interviewer and producer, Maria LeRose. Our panel: Jennifer McCrea, Assistant Deputy Minister, Jane Bertrand and Kim Schonert-Reichl. 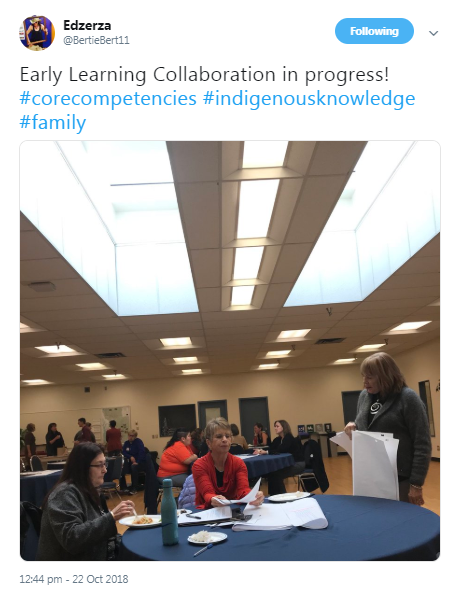 It was a day of connections, common understandings and planning as each of the facilitators and leads from the represented 42 districts and communities go back to their teams of educators with this information and to start their research. School Districts and Communities will meet this Fall and begin the process of finding a focus and wonder child, building relationships with one another and both discovering the commonalities that exist among us in the social emotional realm with young children, as well as observe and understand the uniqueness amongst each other in our respective environments. This will, and should, look different in every community . 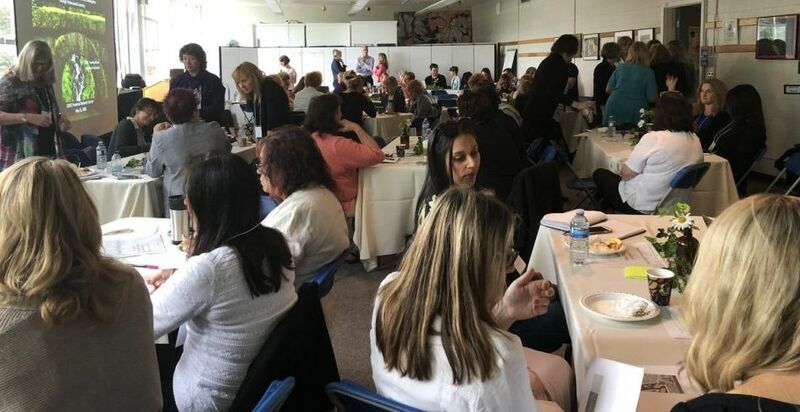 Let’s Share: here are some invitations and plans that the Lower Mainland group consisting of: Burnaby, Richmond and Vancouver as well as West Vancouver have started. Districts and communities meet to learn from the pilot group’s research and plan for next year. What the initiative is about? The results of our initial year of research? How we are growing over the next couple of years?